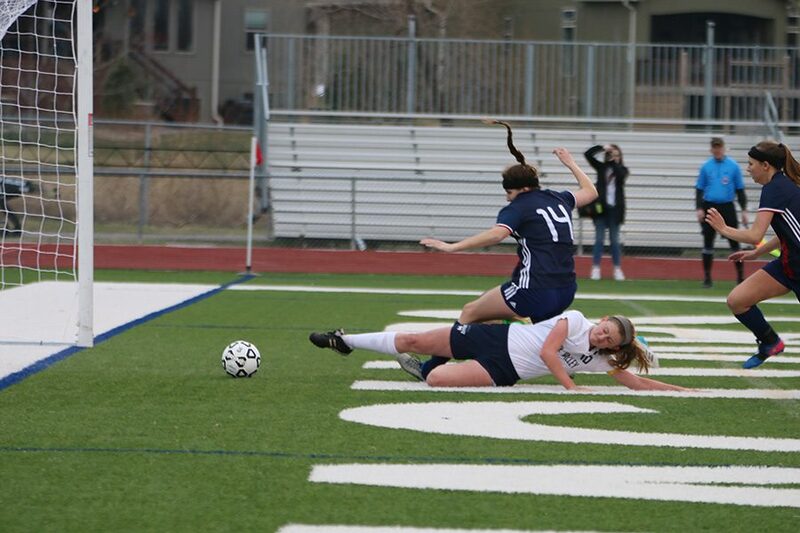 At the beginning of the game, senior Cori Carver slides to score a goal. 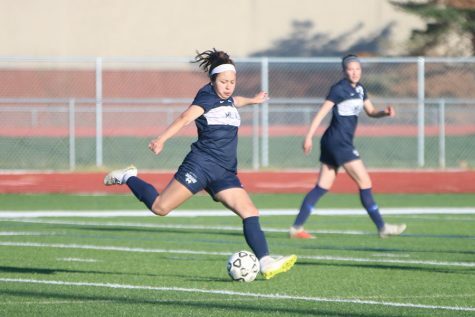 The girls soccer team defeated Olathe North 4-0 at home on Wednesday, March 28, bringing the season record to 3-0. 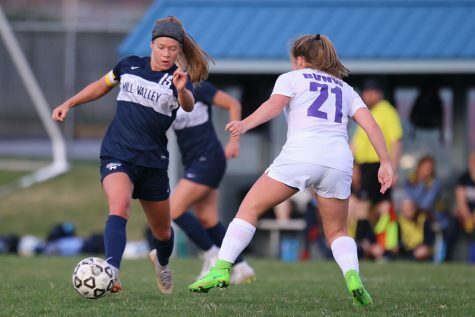 Less than two minutes into the game, senior Adde Hinkle scored the first goal of the game for the Lady Jags. 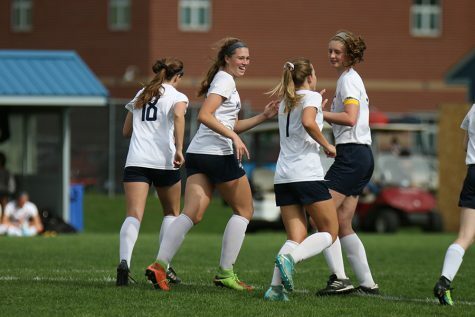 Being able to gain an early lead helped senior center defender Gracie Eckardt and her teammates relax. 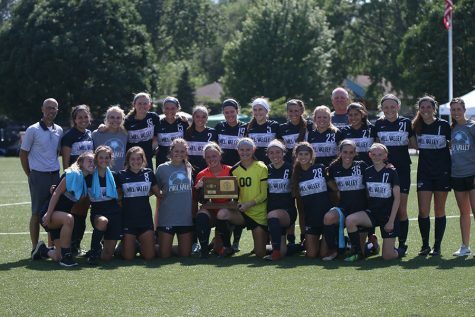 After having previously lost to Olathe North last season, junior goalie Grace Goetsch and her teammates wanted to redeem themselves. 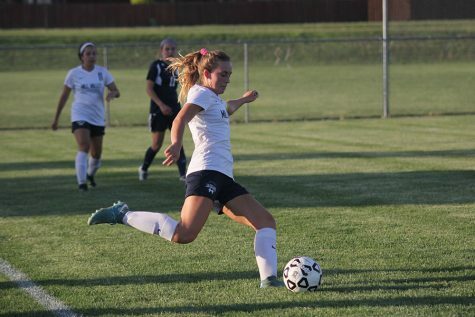 After already having played a game earlier in the week where the team defeated Gardner 5-0, Eckardt felt the team became more prepared to face Olathe North. “We have been practicing throughout the week. 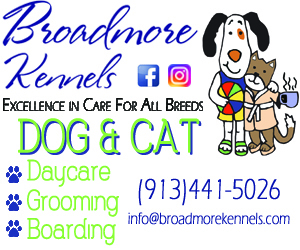 We had a game on Monday and that was a good entail into what this game was going to be like,” Eckardt said. 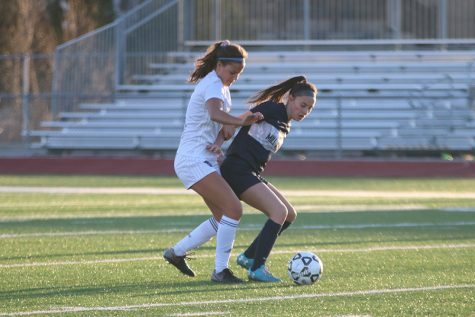 At the end of the first half, the Lady Jags led 3-0 after goals by senior Cori Carver and sophomore Christina Talavera. According to Goetsch, the team had to speed up their play compared to previous games. 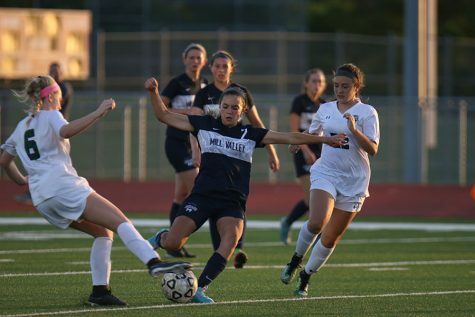 Despite the win, Eckardt believes the team could still push themselves to a higher level. “I think we can improve our first touch as always, communicating as a team, checking our shoulder and little things like that that’ll help us get to where we need to be,” Eckardt said. 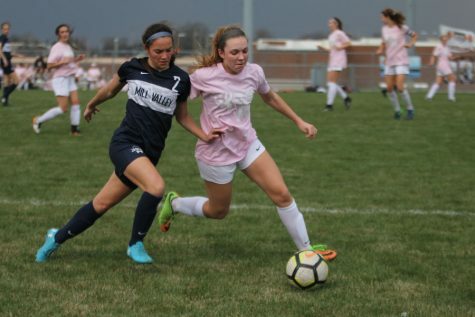 With just under 15 minutes left to play, senior Payge Bush scored the final goal for the Lady Jags, pushing the score to 4-0. 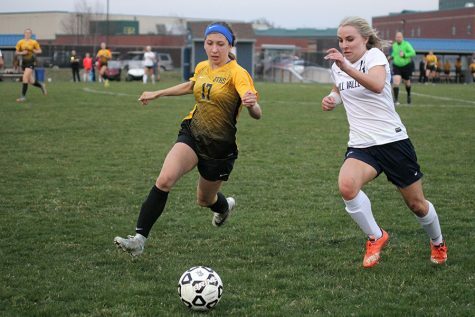 Goetsch attributed the win to the team gaining control of the ball better and adapting to the other team’s defense. 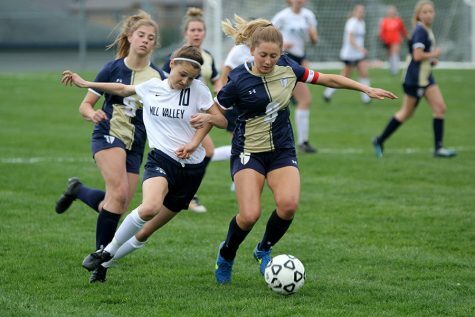 “We were able to win balls in the air more and we had to adjust our defense because they put three defenders up top which is something we haven’t played against,” Goetsch said. After the game, Eckardt realized how well the team could work together to pull out wins. The team will compete next at BV Northwest on Tuesday, April 3.